The Women of the DC Universe: Series 1: Mera Bust is available on Amazon! Mera is the wife of Aquaman, which makes her the Queen of Atlantis. She first appeared in the DC comic book Aquaman #11 (1963), where she fled Dimension Aqua in seek of help to defeat an evil despot who overthrew her kingdom. Aquaman and Aqualad helped her do just that, and soon Mera and Aquaman fell in love and were married. Mera’s place in the DC Universe has been very prominent in the last couple of years — she played a major role in the Blackest Night event. This beautiful sculpture is designed by comic book artist Terry Dodson an sculpted by Barsom. 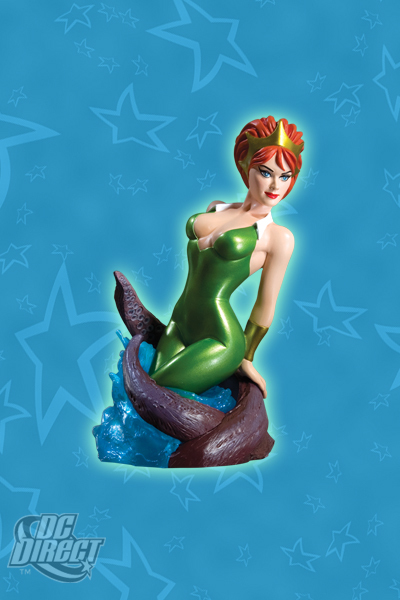 Swim over to Amazon to acquire The Women of the DC Universe: Series 1: Mera Bust today!